The selection of ChemD x Pineapple is a perfectly balanced hybrid of both parents. It creates similar shaped calyx as the ChemD with sticky, oily resin. The creaminess of the ChemD is accompanied by the acidic sour of the pineapple in the background. The leaf/bud ratio is good and easy to trim, while the plant produces higher yields than the ChemD. This selected skunk phenotype is used as the father of this cross. It has a very intense effect that lasts long. 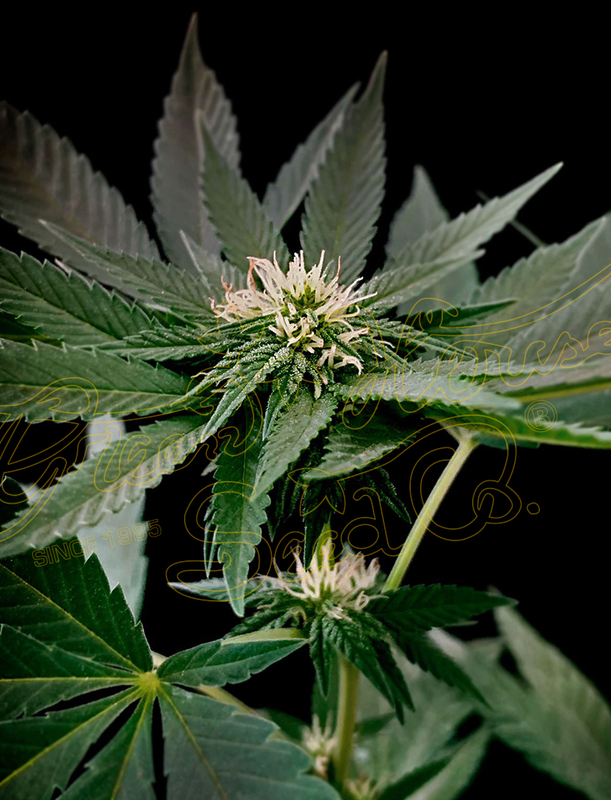 The plant grows very bushy and produces medium high yields.